Based in The Wirral and covering a 20 mile radius including Birkenhead, Barnston, Bromborough, Willaston, Ellesmere Port, Hale, Speke, Garston, Wavertree, Fairfield, Liverpool, Everton and all surrounding areas. A professional and reliable roofing company who offer a broad range of roofing services from new roof installations through to minor roofing repairs for residential and commercial customers. 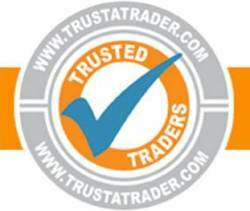 With unrivalled expertise in the roofing industry along with 15 years experience, we are the company to call, take a look at our Trustatrader page to see what our customers are really saying about us. Free roof surveys and reports! Free helpful advice! All work is fully guaranteed and we only use the highest grade of roofing materials on every job, no matter how big or small. From one slate to a complete new roof, our friendly and polite team will give the same attention to detail on every job. 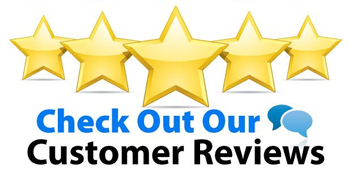 No deposits are required before we start work, our customers are happy to pay us in full once they are perfectly satisfied with their new roof or repair. Our skilled team are at hand to answer any questions about the new roof installation or repair and will inform you of any extra maintenance that should be carried out within the year to keep your roof looking and functioning as good as new. We carry public liability insurance of £2m for your peace of mind and all of our roofing work is fully guaranteed. Once our work is completed, we will leave your premises tidy and clean, dispose of any unwanted roofing materials and rubbish and leave your property just as we found it. 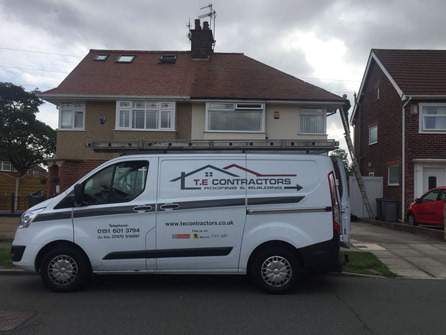 For a competitive, no obligation quotation, call our experienced team today at TE Contractors on Wirral 0151 601 3794, we look forward to your call! TE Contractors hard at work!